Davis, who runs Wheelhouse Workshop out of an office in a large, brick arts building in Seattle, is used to seeing sides of kids that don’t usually come out in school. He, along with co-founder Adam Johns, designs D&D games that are less like hack-and-slash dungeon-crawls and more like therapy with dragons. In D&D’s Forgotten Realms world, the kids’ psyches run amok. Earlier this month, over the phone, Davis told me about Frank (not his real name), a tall, lanky teenager who barely spoke above a whisper. In school, he tended to sit with his feet in front of his face, so no one could really see him. He hated to take up space. After his parents and teachers noticed that his body language seemed a little stand-offish to peers, they enrolled him in Wheelhouse Workshop. “The character he chose was a dwarf barbarian,” Davis recalled. “He was really loud and bumbling and unapologetic. It was a really obvious opportunity for this kid to play with qualities other than his.” Adam had Frank sit like his character, spreading his legs apart and slamming his elbows onto the table. In dwarf-barbarian mode, Frank could experiment with new modes of relating to others. In March, Davis and Johns, who helped him start Wheelhouse Workshop, gave a presentation at the PAX East convention in Boston. They joked that everybody running D&D therapy groups, themselves included, like to think it was their idea. Not so. There are a half dozen groups across the States tapping into tabletop RPGs’ therapeutic potential. Therapists have long used role-play to help their patients, inviting patients to role-play personal scenarios from friends’ or parents’ perspectives. But buying in can feel pretty lame without a good hook, or a fictional world’s distance from real-life. 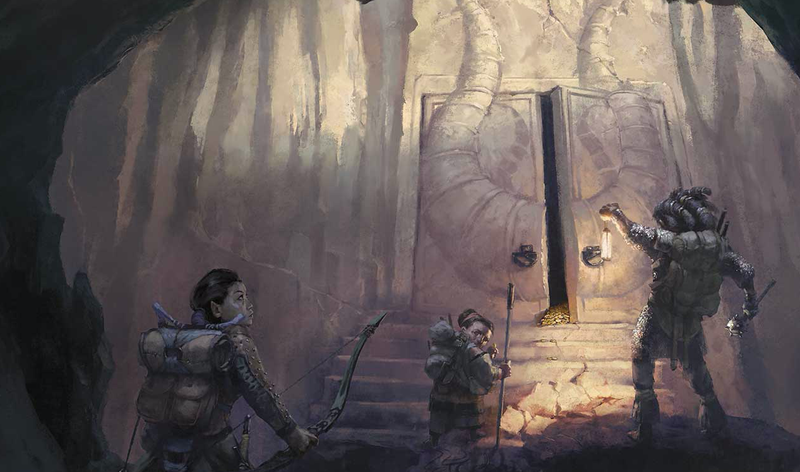 Because D&D is inherently cooperative and escapist, it urges players to reimagine the ways they interact with peers. And because each player has their own specialty, like communicating with dragons, they’ll have their moment to feel valuable in a group setting. At worst, kids who are socially isolated can enjoy hacking up some goblins after a crappy school day. “For someone who never leaves their house except for school, to have a peer say, ‘I need your help picking a lock’ makes a huge difference,” Johns told me. D&D isn’t about to become the next inkblot test or “and how does that make you feel?” But there is a strong continuity between players’ internal lives and escapist fantasies. Leveraging those fantasies in the service of therapy isn’t a big leap, in part, because it’s not entirely intuitive. D&D was never, and will never, be marketed as a tool for therapists. It’s just a game. That’s also why it might catch on with kids who need help.